Tracy Borman is an author and historian, most widely known for writing Elizabeth’s Women, a unique biography exploring the life of Elizabeth I. She has appeared on television and radio numerous times, has written for BBC History and is currently joint Chief Curator for Historic Royal Palaces. 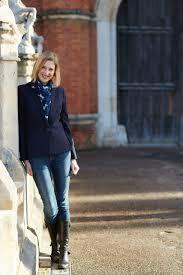 Tracy’s debut novel The King’s Witch is the inspiration for her talk at The Spring. Tracy will take us into the turbulent world of the early Stuart court, where King James I waged a war on witches and Catholics alike. It was not long before a dark campaign to destroy both King and Parliament gathered pace, culminating in the Gunpowder Plot. The heroine of the novel is Frances Gorges, daughter of one of Elizabeth 1′s favourite ladies-in-waiting. Interweaving fact and fiction, Tracy will tell Frances’ story, and in so doing will bring one of the most dramatic events in British history vividly to life. We will have copies of her new novel and her highly respected biographies on sale at the event, including her latest Henry VIII and the men who made him : The secret history behind the Tudor throne.